Does Microsoft still care about Windows phone loyalists? In a smartphone market that's rife with competition and entrenched rivals, Microsoft successfully built a passionate fan base for its mobile platform. Though Redmond's mobile efforts never met with the widespread consumer success the company would have hoped, what Redmond did achieve is respectable market share in some regions, and that was an admirable accomplishment. After a late reentry into the mobile space with Windows Phone 7 in 2010, Microsoft began its mobile offensive from a daunting zero-percent market share. By that time, Apple had built up three years of momentum in impassioned consumer and third-party accessory support and two years of third-party developer support for the iPhone. Android had two years of the same by the time Microsoft rejoined the fray. Even a company with Microsoft's resources would find a springboard of zero-percent market share a difficult starting point from which to achieve any affection for its unique approach to mobile. But it still did. Microsoft and carrier partners began promotional efforts with a slew of marketing that started to advance Windows Phone mindshare ever so slightly in the crowded mobile space. Though global share never exceeded three percent, a combination of early marketing efforts and a push of low-end devices ultimately propelled Windows Phone (the OS) to double-digit market share in some regions. Fans in these now-abandoned and other areas still bemoan Microsoft's retrenchment strategy that saw a seemingly illogical withdrawal of first-party devices from markets where Windows phones were arguably a success. A fan base that had clearly shown interest in Windows phones now finds it very difficult, or impossible, to find them. Redmond's current complete reliance on an OEM-partner strategy (as it presumably commits to developing a category-defining ultimate mobile device), with the cessation of first-party Lumias, has left many Lumia-loving fans feeling deserted by Microsoft. This feeling is exasperated by Microsoft's sparse and cryptic communications about its mobile strategy. Many fans of the platform who have invested time, money and even deliberately-vocal efforts to convert others to the platform feel that Microsoft reaped the benefits of their passion and has now left them hanging. Though most fans want a great first-party device from Microsoft now, others would be content with simply knowing Microsoft's intentions. They might wonder: Does Redmond even care? Communication is the key to any relationship. It is the bedrock that supports it, as well as the conveyor of intentions when the relationship is coming to an end. Microsoft has been clear that the company is continuing its investments in Windows 10 Mobile. New job postings further confirm that commitment. Partnerships with HP, Alcatel and other OEMs reflect the company's commitment in that regard as well. The end of the Lumia line was also not surprising to those who have kept an ear to the ground. We knew that was coming. Windows 10 on ARM speculatively points to an evolution of Windows 10 on a mobile device that will push the PC into the smartphone space. Presumably, this pocketable ultramobile Surface PC will retain all of its strengths as a Windows 10 PC while acquiring attributes of a phone. That all sounds good. But that's the fan side of the relationship trying to read the "body language" and limited dialogue (along with other clues such as industry trends and technology advancements) from a company that has been decidedly mum on the subject. In a romantic relationship, one party who wants to break up but doesn't want to say it still often "says it" without actually saying anything until the invested party finally leaves. It seems that is the message many fans that have left the platform have received when interpreting Microsoft's reluctance to communicate its full vision for mobile. Microsoft is a multi-billion dollar company with a global footprint and many businesses. Mobile, though a very critical business, is just one area where Microsoft is invested. Many Windows phone fans, particularly those who read Windows Phone Central, ahem, I mean Windows Central, are phone-focused. This site has an enduring legacy. 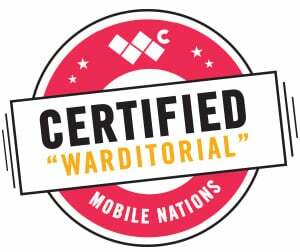 All original Mobile Nations sites, including Windows Central, were founded on a mobile-phone focus. Many of our members (I was one before becoming a writer here) became part of this community because of Windows phones. Consequently, when it comes to the larger perspective of what Microsoft is, what it may be doing, and where its interests may lie beyond phone (but that effect phone), some folks are simply not interested. And that's OK.
Like high school sweethearts who continue a relationship through college, early adulthood and the beginning of a career, things change. The jovial meetings at a local diner talking about juvenile things, such as a touchdown the football team scored, eventually transition to conversations about 401K investments to ensure adequate funds for retirement. As one matures, ensuring a stable future becomes of much greater importance than what might excite in the present. I think this is where Microsoft is in its "relationship" with Windows phone fans. Microsoft is committed to broad business efficiency, not empathy for a tiny fan base. Redmond is focused on preparing for a stable future in mobile, which consequently leaves the present experience for fans less exciting and with unmet interests. Many fans may feel that Microsoft should be better at communicating its intentions to reflect a little appreciation for the fans who embraced Windows phones. Like a stoic partner, Microsoft is a business, however, and is committed to efficiency, not empathy. Microsoft's Windows-on-phone goal has always been to put Windows on a pocketable device. The company's utter defeat in the smartphone space has, from Redmond's perspective, necessitated the pursuit of that goal with the absence of a first-party smartphone as it develops a next-generation ultimate mobile device. Many fans want Microsoft to deliver CEO Satya Nadella's ultimate mobile device now. That's what would excite. If that's too much to ask, some would be content with a comprehensive view of Microsoft's mobile vision. I can't blame them, because not knowing leaves the "relationship" up in the air for many. Is Microsoft simply going to dump its fans or is the company going to deliver a product that satisfies? Fans, like a party in a relationship, want to know the other's intent so that they can decide what they are going to do. Microsoft's intent is future-focused. Gone are the dreamy "high school" days where Microsoft provided fans with an annual smartphone they could compare to rival phones. Gone are the ritualistic annual incremental improvements to a first-party device that became the talk of the community. Those moments, akin to the conversation spurring new hairdo on the head cheerleader or new jacket on the high school basketball star, are in the past. Microsoft has moved from the smartphone war (because it lost) and is targeting something that it is uniquely positioned to execute by way of an ultimate mobile device. Many Windows phone fans are, however, nostalgic of the past, and they're still pining for Microsoft to play by the old rules. Sometimes, a third party has to break the news to a love-struck soul. I'll be that third-party. Microsoft has moved on, folks. Intellectually, I know many fans "understand" Microsoft is not playing by the old smartphone rules, but I'm not confident that everyone really understands what that means. On the surface, it means that Microsoft is not bringing a smartphone to market when it reenters the pocketable device space. Consequently, the expectations many may have for how and when Microsoft communicates its intentions for this space may need to be adjusted. Redmond is positioning a category-defining device to redefine an approach to the mobile space. The pattern of annual device releases, announcements and leaks that we have grown accustomed to, to satisfy our curiosity, have been replaced with virtual silence. Communication between Microsoft and fans has changed because the relationship has changed. Microsoft is no longer in a smartphone-maker-and-fan relationship with Windows phone fans. Microsoft knows this, but many fans do not. Microsoft is no longer in a smartphone-maker-and-fan relationship with Windows phone fans. Like a man that continues to bring his love interest to the local diner they enjoyed in high school, not realizing she now has more refined tastes, many fans continue to frame Microsoft in the smartphone paradigm perspective. Thus, the frustration many endure. As Microsoft shrouded all of its category-defining devices, HoloLens, the Surface, Surface Book and Surface Studio in secrecy, an ultramobile Surface PC is presumably being treated the same way. Moreover, this ultramobile Surface PC, if my analysis is correct, will fit within Microsoft's broader personal computing strategy that is being propelled by the Surface family, Windows Mixed Reality, digital inking, and the cloud. As such, telephony will be a part of all this but not the focus. Microsoft (I believe) knows this, but many Windows phone fans do not. Microsoft's enterprise legacy and entrenched IT infrastructure have led to its decision to focus Windows 10 Mobile on the enterprise as it shifted from the smartphone space. As the company refines and develops the OS, through continued cellular and ARM investments, per Windows Devices Chief Terry Myerson, fans reap the benefits of the company's broader vision. Don't mistake Microsoft's moves as totally altruistic, however. Like someone who agrees to the requests for a date simply so that they won't be alone, Microsoft's inclusion of fans in the Insider Program is self-serving, though mutually beneficial. Microsoft receives tremendous feedback from fans who hold to the platform, as it evolves Windows on phone into what it wants it to be. If the next step is full Windows on an ultramobile PC, the portion of the one percent of Windows phone users who will have helped Microsoft get there will likely not be taken along for the ride, because devices with new minimum spec requirements will be the new standard. There is a precedence for this after all. Still, Redmond is likely counting on a passionate portion of the fan base to eagerly embrace what's next, as those fans cut the losses of earlier investments and Microsoft cuts the losses of those who don't advance with its vision. The full Windows-on-an-ultramobile PC vision will ultimately target a much broader market than the one percent served by the current iteration of the Windows-on-phone vision, after all. Does Microsoft care about Windows phone fans? Microsoft is a multi-billion company with many businesses, and mobile is a part of the entire picture. The less than one percent of us who hold on to Windows 10 Mobile represent a minuscule fraction of the market Microsoft is targeting as it evolves Windows on phone. Does, Microsoft care about Windows phone fans? Maybe not. I don't think the company is evil, but I understand that it is a business. I do believe there are some people within the company who have empathy for long-time Windows phone fans. Still, as a business, I think Microsoft cares about Windows phone fans to the extent that we are valuable variables that help the company develop and advance its vision. I can't really complain, though, because like all Windows phone fans if I wanted to move on, I would. Maybe a better question would be, "Do Windows phone fans care about Microsoft?"